It’s that time of year again. This year I’ll be swapping the Turkey for a BBQ on Christmas Day, but I still need to present my family with Christmas presents before I leave these shores. I recently came across a great hamper, the contents of which are perfect for my dad – a coffee and preserves lover. 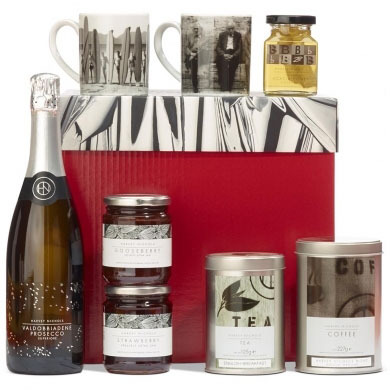 The Rise & Shine hamper is priced at £65 and available from the Harvey Nichols website.